An elegant Holiday Shoe has Holly, Lace and Butterflies and a Holly Frame card is an alternative choice. ​There are optional layers and a two-part envelope matches both. 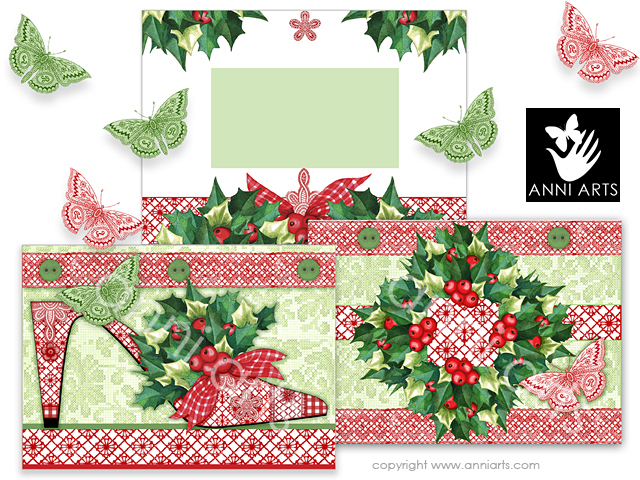 The printable craft set includes a two part envelope, two cards, optional layers and tags! They make a comprehensive Christmas and Holiday crafts collection that coordinate and mix for many beautiful items.